In Perkins’ pulp-novel debut, an ad exec goes looking for some payback after he’s unjustifiably arrested for a DUI. Richard Park’s business trip to California is going fabulously, especially when he dominates a sales pitch. But after a few celebratory drinks, he gets pulled over, somehow fails the Breathalyzer and is unceremoniously tossed in jail. His arrest has disastrous consequences, both at home and at work, so he arms himself and finds the man responsible for his predicament: the officer who cuffed him. Perkins opens his novel in the style of a film noir—a stormy night, a gun and the prerequisite flashback. From there, it’s a lead-up to Richard’s arrest and its aftermath. The story alternates from Richard holding the officer and his family at gunpoint to the story he tells a little too often, since nearly every chapter opens with a reminder of the ad exec’s current dilemma. But Perkins adds some bravura with the flashbacks, as the storm’s lightning typically works as a transition between the past and the present. The story has convincing moments, including Richard, after spotting the police lights and later in his cell, coping with his fear by running various scenarios through his head, debating whether doing a single thing differently would have led to a different outcome. What holds the most weight, however, is the scene in which Richard returns to work, down a “never-ending” hallway and past a chorus of whispers from his co-workers. But the book, which clocks in at around 100 pages, would have benefitted from fleshing out the story, particularly Richard’s home life. Showing more of the doting father with his children and not introducing Richard’s wife through his complaints about her spending would have made him much more sympathetic. As is, Richard seems cold and dispassionate, even with readers’ knowledge of his wife’s affair. On the other hand, an empathetic booking officer provides some balance by offsetting the police department’s villainy. 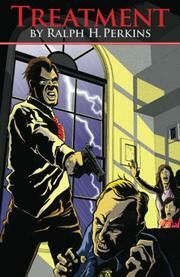 In need of fine tuning, but a quick, uncomplicated story that guarantees some pulpy escapism.